Before this clash Liverpool must have been flowing in confidence following their dismantling of Chelsea at The Bridge the previous Sunday and their promising 1-0 win over Rubin Kazan mid-week. 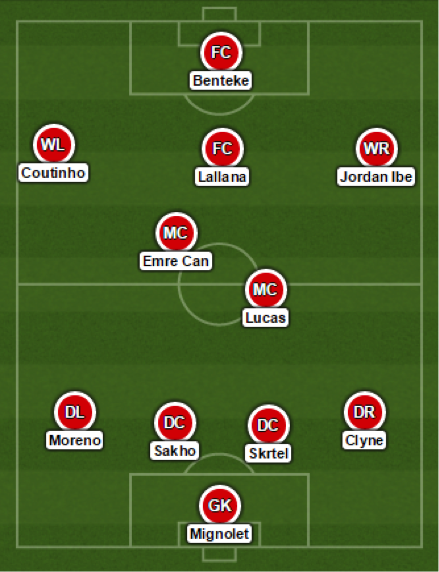 Despite their confidence Palace do have a very good record vs. Liverpool recently and fans acknowledge that this may be their ‘bogey’ team. Palace have managed 3 positive results against Liverpool in their previous 3 league meetings. The game started poorly for Liverpool as Palace used their pace and power to take advantage of Liverpool’s weary legs after their long trip to Russian midweek – a message Pardew would have made very clear to his players. In the first 20 minutes Palace had a couple of chances which they couldn’t capitalise on at which point Liverpool found their feet and their way back into the game. Despite this, Palace scored in the 21st minute with an effort from Yannick Bolasie. Cabaye attempted an audacious chip from around 40 yards away, the ball is cleared, shortly after a failed clearance at Zaha’s cross is turned in from Bolasie. After that it was one way traffic with Liverpool knocking on Palace’s door but they remained tight and composed at the back limiting the amount of chances Liverpool had. Ibe was playing particular well for Liverpool and looked their only real outlet down the right wing putting in a few dangerous balls. Despite this, players like Benteke simply did not have their shooting boots on. On the 41st minute the ball is played across Palace’s box by Lallana who looked much better than previous game and the ball is dummied by a couple of players then swung into the back of the net by an oncoming Coutinho, who had played well very. After half-time the same pattern of play emerged with Liverpool continuing to knock on the door of Palace. 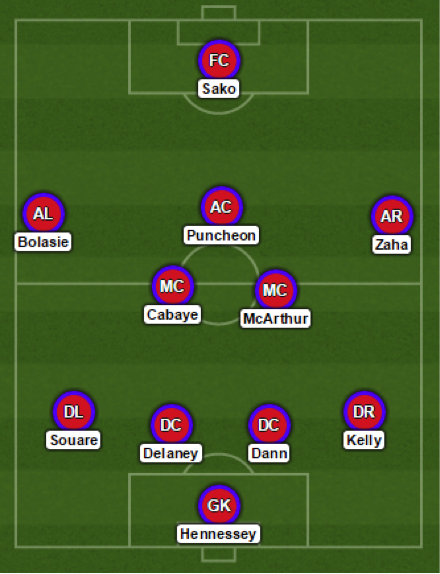 Pardew’s well organised Palace team did well though, soaking up all the Liverpool pressure and hitting them on the break with pace with players like Bolasie and Zaha who are known for their pace and dribbling skills that cause trouble for defences. Benteke and Sakho missed headers by inches in chances which they probably should of buried and would later rue their missed their chances as Palace’s Scott Dan (and Liverpool fan, by the way…) managed to head home after Simon Mignolet parried away another header. Dann made it 2-1 late on and despite Liverpool’s last efforts to grab a late equaliser Palace remained rigid at the back.